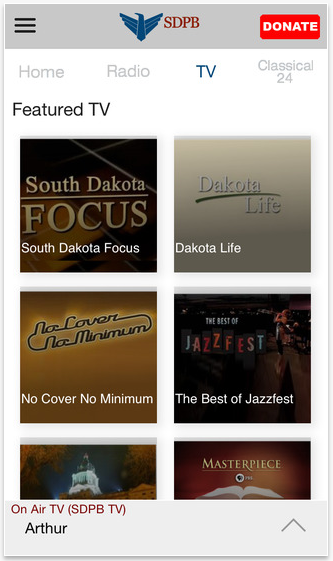 South Dakota Public Broadcasting's new mobile app allows you to listen to South Dakota Public Broadcasting Radio and Television, pause and rewind the live radio audio, and view the program guide. 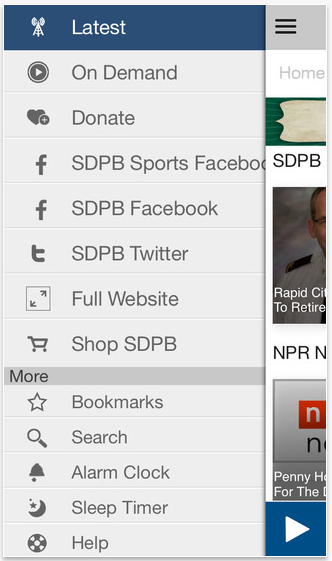 You can even explore On Demand content, search for programs, bookmark a program for later, and wake up to SDPB with the alarm clock. We had a chance to talk to SDPB's Director of Education and Online Services, Kent Osborne, who managed the project from start to finish. Learn more about their process and get tips on creating your own mobile app. 1. What influenced your station's decision to create the app? lack of local expertise with design and functionality. We addressed the mobility issue by moving from a non-adaptive web design to NPR's Core Publisher for radio, and PBS's BENTO/COVE solution for television. In addition to the typical workflow of a radio and television network we do a lot of streaming of high school activities, legislative meetings, and create a fair amount of educational materials for K-12 schools in South Dakota. It was really hard to get our collective heads around everything we would be asking the app to do. This is probably very typical with any dual-licensee. As staff adapted to smart phones and tablets, pressure mounted within the network to "own" an icon on device screens. We did some asking around and Sky Blue Technologies was recommended to us a reasonably priced app provider. It so happened that my boss ran across their booth at a national meeting and brought back some promotional materials. Readers may be familiar with them, they are the company that developed the "radio bookmark" several years ago. Since then they have been developing apps for about 70 public radio stations and had just completed their first version for dual licensee stations. We felt very comfortable with them knowing our business. 2. What technology was used to develop the app? We purchased a turnkey solution from Blue Sky. They worked with us to get our feeds up and rolling and finalize design ideas. 3. What has been the response to the app so far from the South Dakota audience? a lot of people - from the public to board members were just happy that we "finally had an app". 4. What's on the roadmap for next update that you are excited about? We're going to polish up some underwriting placements and add live video capabilities to the live audio streams we already offer. Right out of the gate we added a layer to the app that goes beyond what you would expect from the radio and TV offerings. 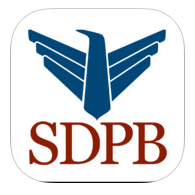 We're regularly adding content for people to explore and learn with - in addition to all the great content from SDPB radio and TV. 5. Any advice for other stations looking into building an app? Ask yourself what precisely you want to accomplish with the app and establish a reasonable budget limit. Ask some local developers for estimates and compare their cost for development and continuing maintenance with budget realities. Download as many apps from other stations as you can and find out what features you like and don't like... keep a list. Kent Osborne began his career at SDPB 32 years ago, and served as Director of Education and Online Services for the past seven. 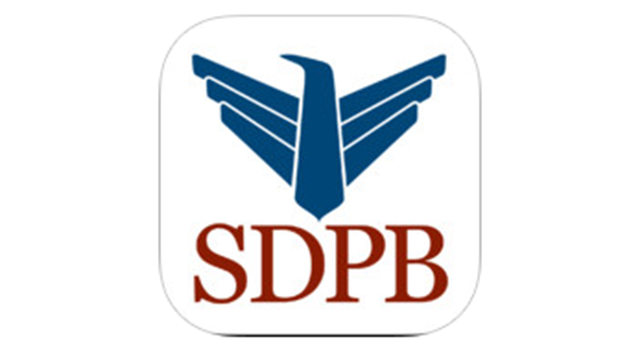 Kent developed SDPB's website, in addition to helping produce hundreds of web pages for use by educators throughout South Dakota. He is also very active in his community, and served a term as President of the Vermillion City Council.